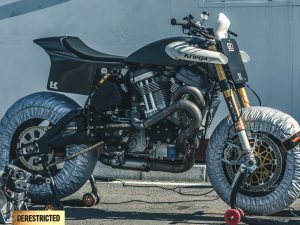 Marcus Moto Design has a knack for creating some of the most unique looking machines out there, and this time is no exception! Love the purity of it! 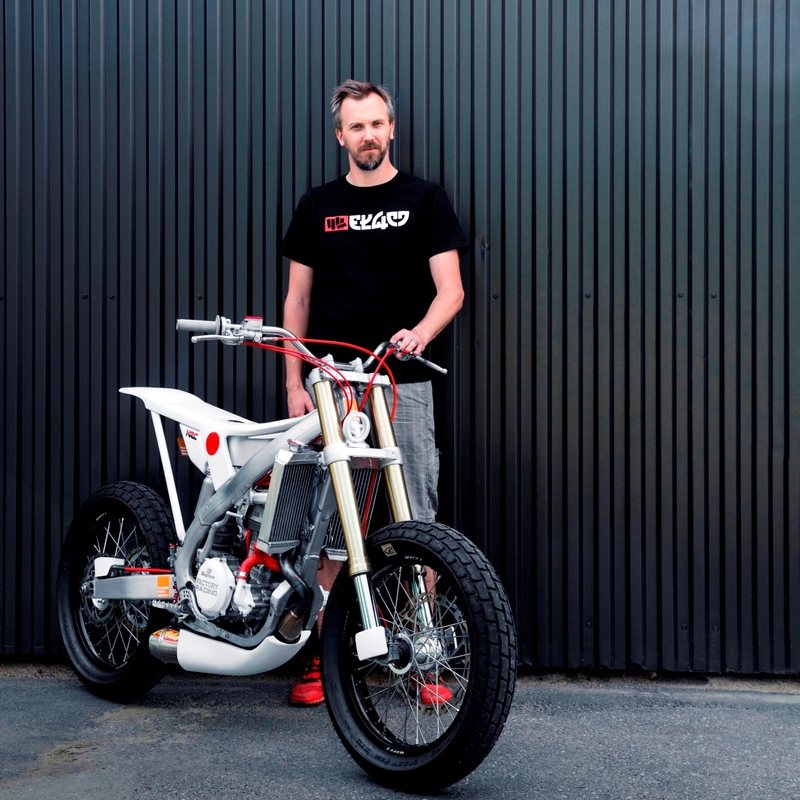 Here is the story behind the CRF Tracker Concept by Marcus Moto Design. The bike, Honda CRF450 2006 that I bought from a friend near our family summerhouse outside a small town were I grew up. I had the bike there for a few years all standard for some fun forest and gravel road riding . For a long time I have had the vision on the ultimate street tracker. Ultimate in my mind is one with minimal bodywork, centralized weight, lightweight carbon fibre and a concept motorcycle feel to it. 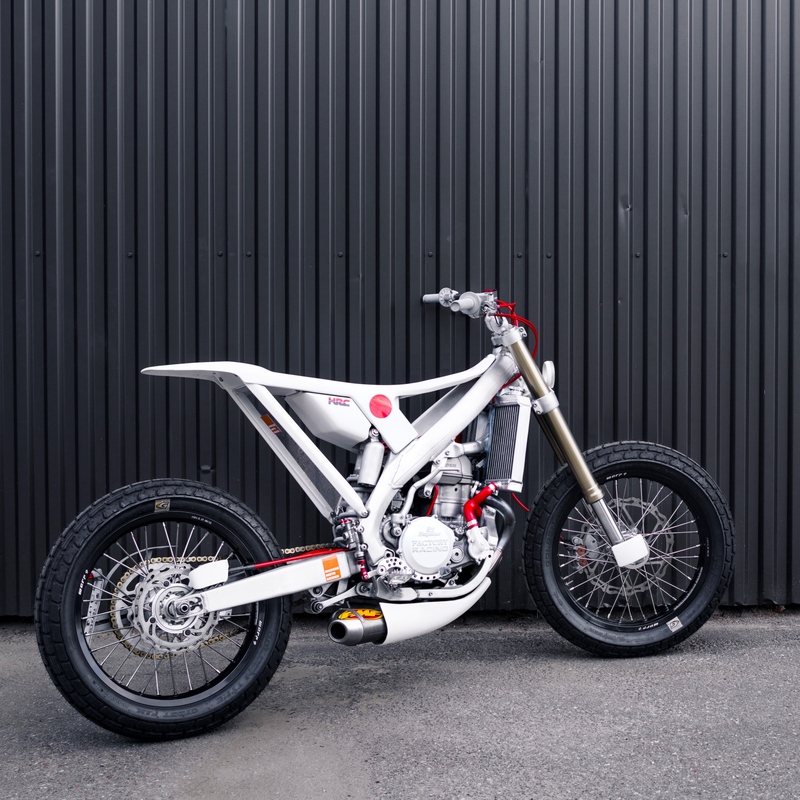 So finally I got around to it and used my Honda CRF, a modern aluminium mx frame, powerful four stroke 450 thumper engine and light weight base. 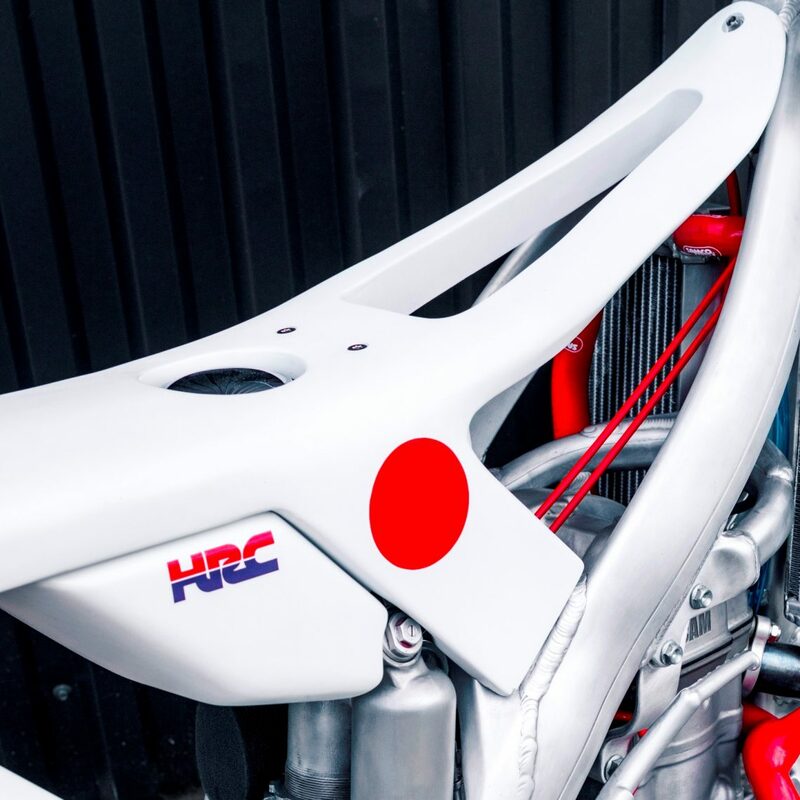 Then I added the HRC concept by Marcus Moto Design idea to it. 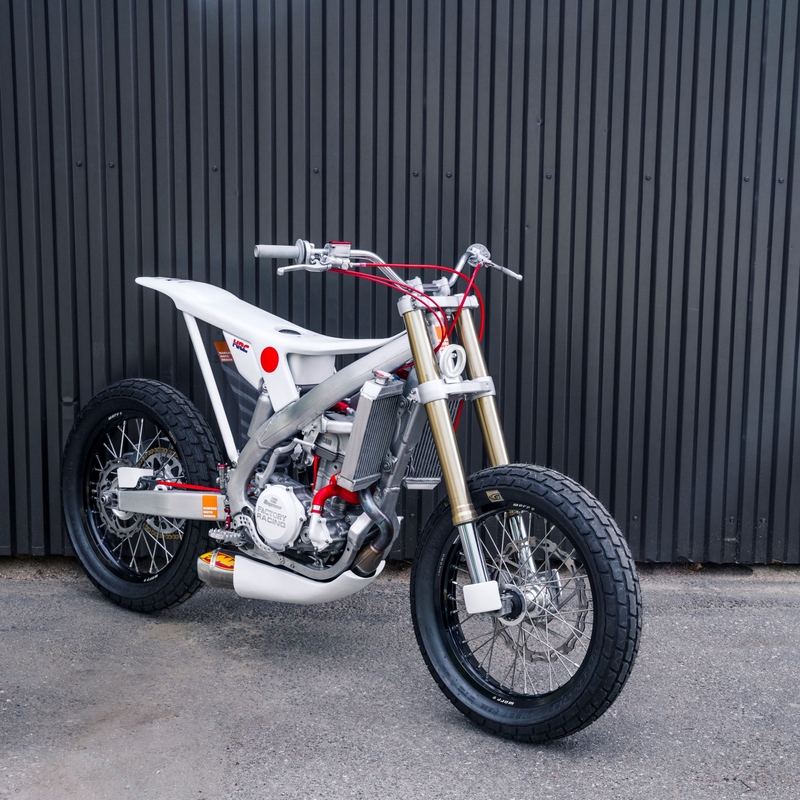 If HRC built the CRF Tracker Concept was my vision when I started about 2,5 years ago. I move slowly on my bike builds unfortunately. Every modification is done by myself. Even paint. Welding and modifying of FMF exhaust, welding aluminium sub frame, modelling and shaping bodywork mold base in foam, manufacturing gas tank, belly pan and bodywork in carbon fibre, (handlayed by me), lowering front forks, designing parts in the CAD programme NX and then 3D printing them (sprocket cover, axle cover, light bracket etc). 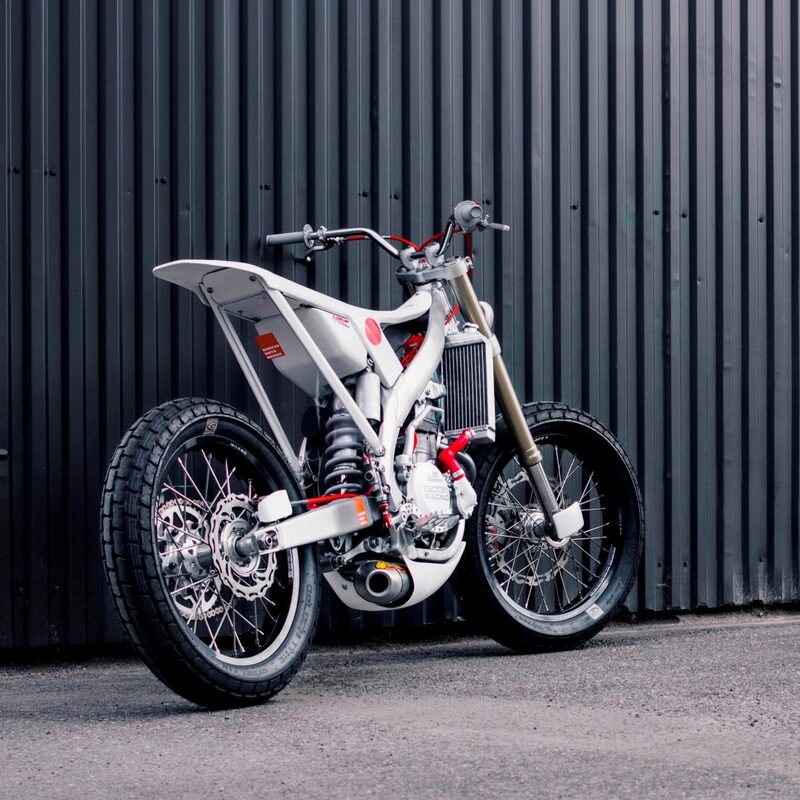 The focus on the bodywork has been to make it as minimal as possible and at the same time improve the handling of the bike with for example mass centralized gas tank and exhaust. You can actually look straight down on the valve cover through a hole as nothing is lighter than a hole. 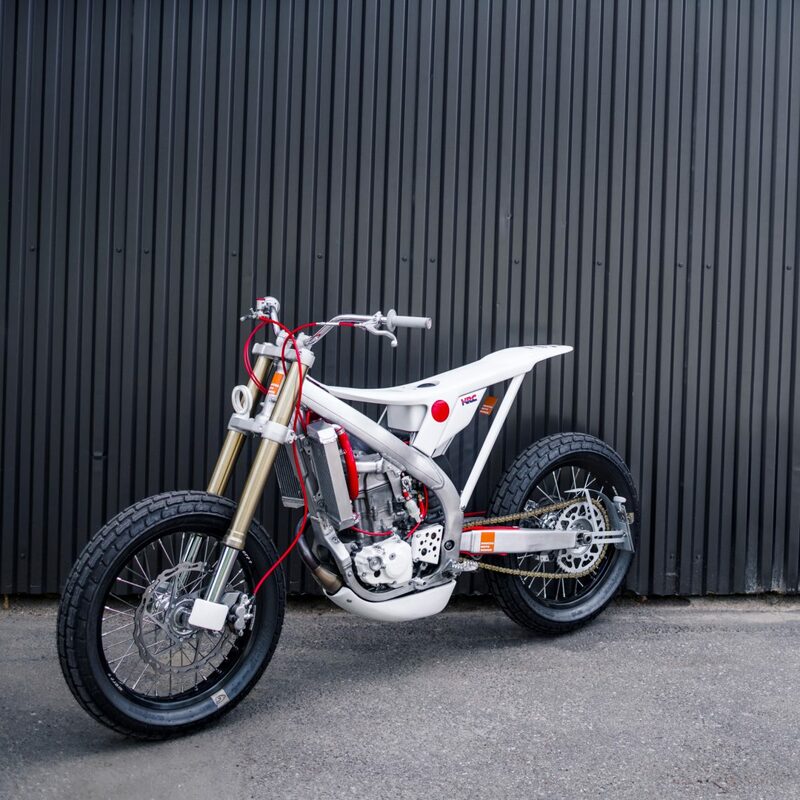 The frame and swing arm is stock but everything else is either modified or simply removed. 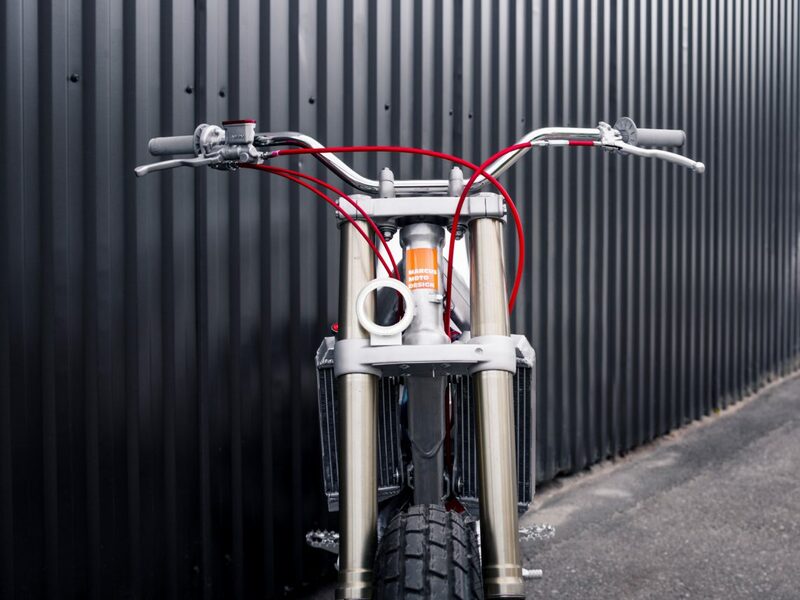 The aluminium sub frame is the strength carrier for the rider and the mounting piece for the carbon fibre gas tank. On top of it all is the thin sleek carbon fibre body work where every surface of it has been questioned if it is need or not to reduce actual weight and show true lightweight appearance. Seats are for touring bikes! 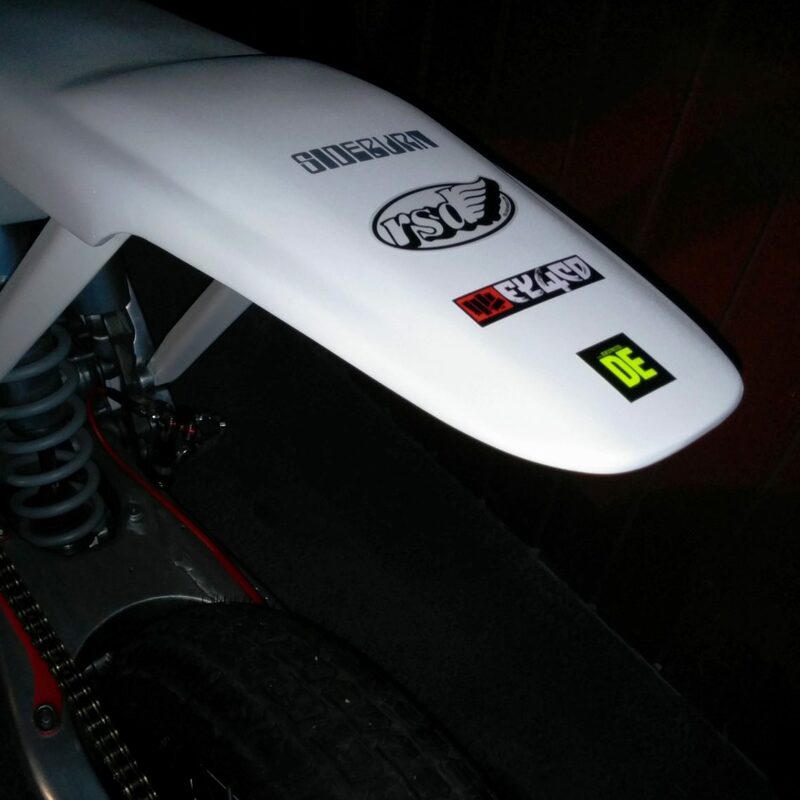 This is a barely street legal race bike with battery powered lights. Built for short stints on your favorite curvy village roads outside Stockholm. The licence plate is a Japanese one bought many years ago in a Tokyo moped market. It will be replaced with a Swedish one to reduce the traffic cops interests for the bike. 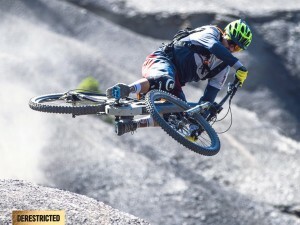 They will probably have some opinions on the bike anyway. The LED ring that makes the front light has a 3D printed bracket developed on computer by me. The battery is hidden underneath the lower yoke. The covers on front axle are 3D printed and the cover for rear brake caliper is in aluminium. Both added to reduce the fussy and a bit disturbing areas there in typical concept bike manor. 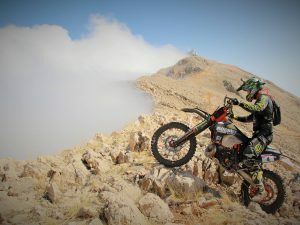 The engine is modified with one-off FMF exhaust system with shortened silencer tucked in underneath the engine but with header length and MegaBomb intact for best performance. It breaths through a UNI pod foam filter. 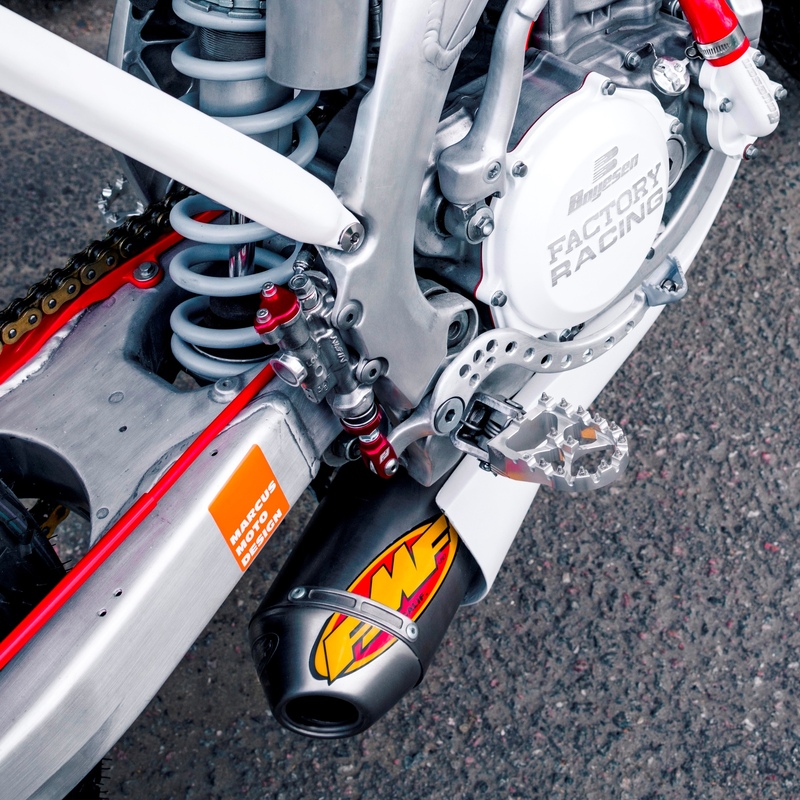 Improved performance with Boyesen Factory Racing Clutch Cover and Boyesen Supercooler water pump cover, Robust and stylish red silicone Samco hoses matched to modified larger aluminium aftermarket radiators, Goldentyre 19 inch Flat track tyres and for the rear brake a Fasst Co brake spring kit. Unique and bit weird bikes is what gets me going as too many custom bike look the same nowadays.